Advocates and believers of “white civil rights” are all set for their “Unite the Right” rally to be held on Sunday at 5 p.m. where they are expected to march from Foggy Bottom Metro Station to Lafayette Square, across the White House in Washington, D.C.
D.C.- area officials are preparing as well for the weekend rally expected to draw as many as 400 participants. The National Park Service approved the rally permit. They also approved four counterprotests organized by the Democratic Socialists of America and other groups. D.C. officials said they are ready to keep the two groups apart, although they did not state how they wish to carry out the plan. Gertz added that specific closures will depend on the number of people who will participate in the events. The Sunday rally will also coincide with the first anniversary of Charlottesville, Virginia rally where there had been violent clashes between white supremacists and leftists counterprotesters. Rally organizer Jason Kessler said in an email to media that as opposed to the Charlottesville event, there well be no Tiki torch march in nthe District, except maybe at a press conference. 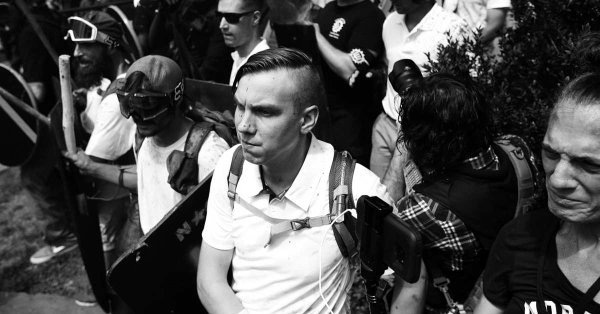 Kessler initially wanted to hold the second demonstration in Charlottesville, but the city denied his request, leaving him to turn to the nation’s capital. The National Park Service released documents on Monday showing that Kessler’s confirmed speakers include neo-Nazi Patrick Little, former Ku Klux Klan Grand Wizard David Duke, Suidlanders spokesman Simon Roche, Patriot Prayer follower Kevin Cormier, Revolutionary Conservative editor Avialae Horton, attorney Corey Mahler, and “pro-white” town manager Tom Kawczynski. I do not support hate groups of any kind. KKK, or ANTIFA they're the same angry hate filled people. I would hope my Conservative friends would feel the same. Either way, they have a right to speak, w/o violence! Another Soros funded agitator event. Kessler from CNN Online Editor to Occupy movement for Obama the community organizer. Then Charlottsville and now this. Fake fake fake but real people get hurt. Go see Dinesh D'Souza's movie instead where he proves from Duke's own mouth he is left wing socialist same as the original Nazis he idolizes. We should hire some investigators to see what is backing this hate show since our mainstream media has abdicated their actual responsibility. It's a trap!! Steer clear of this staged event designed to paint normal patriotic Americans look as rabid RW "fascists". Heh, read the headline then thought, I'll bet I can find Jason Kessler's name in here somewhere….. avoid - all part of the smoke and mirrors psyops against true conservatives.